Food for Today is a comprehensive lab-based foods and nutrition program for high school students. Comprehensive, lab-based foods and nutrition program including food science principles offers reorganized, clear and orderly Unit/Chapter format. Offers greater depth of content in an inviting, readable style. 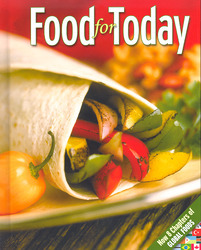 Includes eight new chapters on global foods, bringing culture to the table.